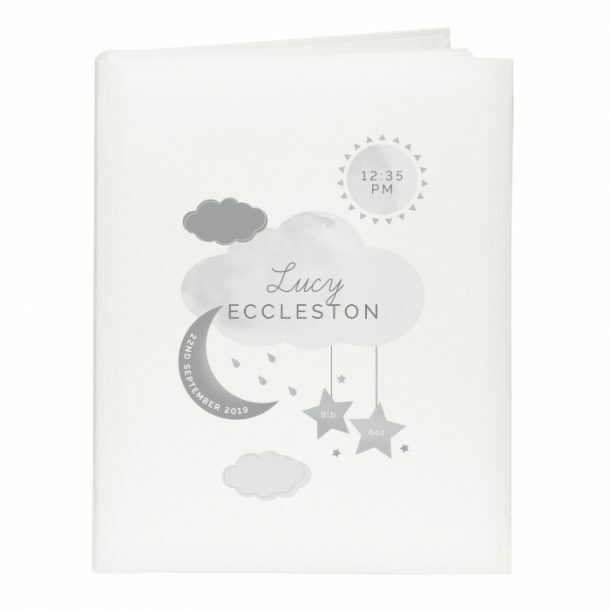 Treat new parents to our brand new Personalised New Baby Moon & Stars Album with Sleeves. Ideal for storing and showing off favourite photos from times and happy days spent with their new baby. 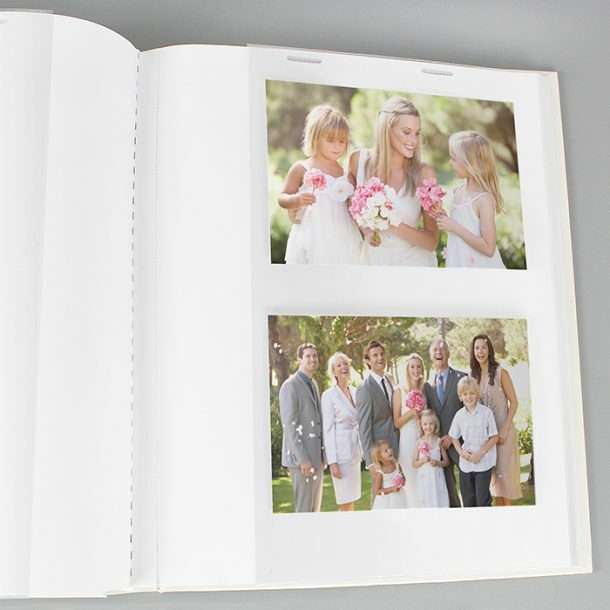 With 25 sleeved pages (50 sides) inside, the flexibility of the sleeves allows for up to 2x (6″ x 4″), 2x (7″ x 5″), 1x (6″ x 8″) or 1x (8″ x 10″) photo per page. 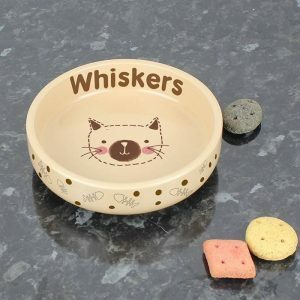 The cover is beautifully illustrated and complimented with a satin sheen finish. Our photo album is like no other, and can if you wish, feature important information inside the design. The following is what we can print to make this album a bespoke present for the child. Please avoid entering the case sensitive text in block capitals, as this may result in the wording being difficult to read. 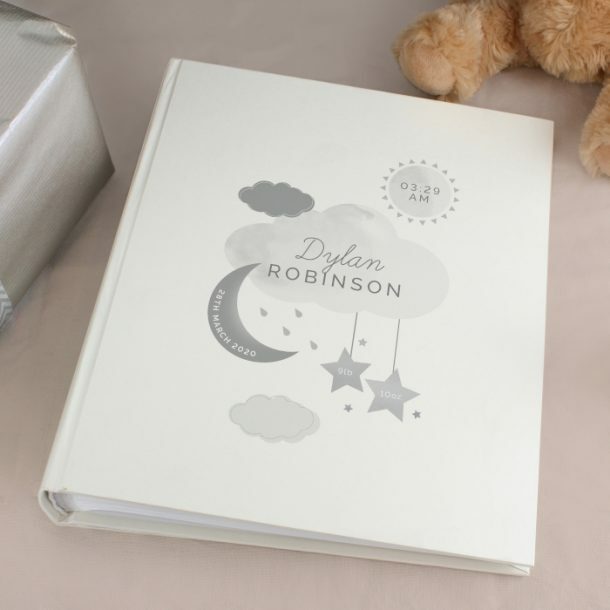 A gorgeous album that will delight new parents, and a wonderful gift for a new born baby or if you’re looking for a first Birthday present. 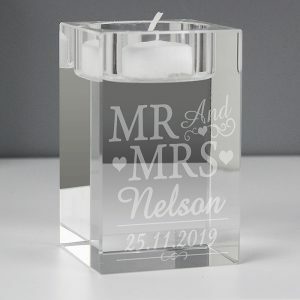 A fantastic gift for all the family to reminisce over, and a keepsake that will be loved for many years.